Injong Rhee, Executive Vice President and Head of Enterprise Business Team, recently wrote an editorial providing an in-depth explanation of how Samsung KNOX works and the advanced security features it offers. As I was in charge of the development of Samsung KNOX, I would like to continue the discussion by talking about why KNOX is necessary and where it can be applied. Do you remember the early cellphones? Back then, mobiles phones weren’t commonly built for business activities. Even when companies provided cellphones for business use, they were mostly used for receiving calls and sending text messages. However, the situation completely changed with the advent of smartphones—mobile phones started to gain access to the servers that stored company data. So we developed Mobile Device Management (MDM) solutions to prevent company information from being infected with malignant codes and to keep the access to servers and devices away from hackers. MDM is a tool that manages registered information and oversees the access of smartphones to servers. Despite the constant risk of hackers, we understood that overly prioritizing security could make smartphone usage for businesses inconvenient, especially for management and employees. We wanted to come up with a platform that would provide tight security and be convenient at the same time. KNOX is the result of a design and development process that took over one year. 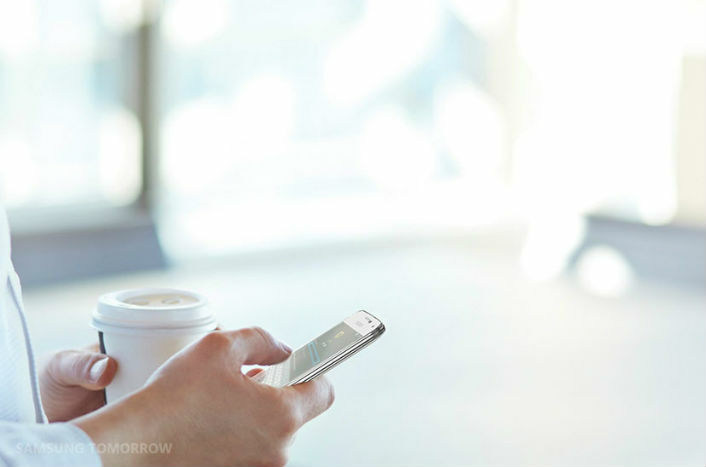 For personal devices, Samsung KNOX is a prime security platform that protects against external attacks. As an enterprise solution, however, KNOX truly shines. KNOX is the optimal tool that secures devices while simultaneously providing customized services. For example, take a look at Samsung Pay, in mobile payment services. 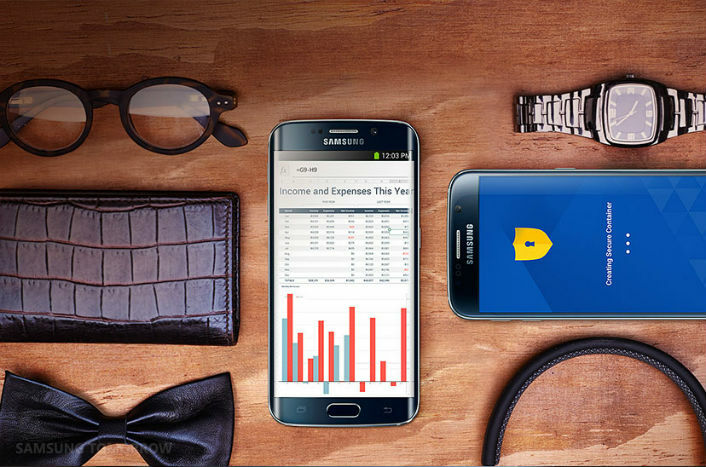 Because Samsung Pay is about making financial transactions, security is essential. KNOX constantly monitors devices that use Samsung Pay, guarding against signs of malware and protecting payment information and personal data from hackers. Samsung Pay is a good example of how effective KNOX is when used as an enterprise solution in which both security and usability are critical. The security of KNOX is widely acknowledged and has been proved in highly regulated organizations around the world, such as U.S Department of Defense. Also, this year at MWC, KNOX won as the Best Security/Anti-Fraud Product or Solution by the GSMA. So we asked ourselves, what is an organization that holds security to the highest importance? Our answer: The military. As a result, we aimed to obtain security approval from one of the most secure organizations of the world: the U.S. Department of Defense. As one could imagine, it was extremely difficult. At first, it was nearly impossible even to schedule a meeting with officials. But we kept explaining the merits of KNOX and overcame all the major hurdles, ultimately obtaining the security approval. Now, governments around the world have acknowledged KNOX’s security: the U.K., Finland and China have officially approved KNOX for use. Thanks to the security and usability of KNOX, we have witnessed steady but strong reactions within the enterprise solution market. Just two years since its introduction, the number of users who have adopted KNOX as their enterprise solution has reached four million. Moreover, the rate of adoption has been gaining momentum. It is estimated that mobile devices for business use will make up at least 30 percent of the global mobile device market. KNOX has products that can satisfy all types of needs, from the heavy-duty power of its Workspace to the smaller and individual scale of My KNOX, while also offering customized solutions for businesses. In addition, we have started an indirect B2B project called ‘KNOX Enabled Application,’ combining KNOX with banking applications. It supports the core security functions of KNOX while making complex business systems seem easier. KNOX fundamentally prevents other applications or unauthorized parties from accessing personal or banking information, while protecting banking applications, account transfer information and authentication certificates. As we continue to work toward making Samsung KNOX the best mobile security platform, we are focused on two goals. Our first goal is to create an ecosystem in which partnering companies can freely create and use their products under the KNOX platform. In order to do so, we have opened up various Software Development Kits (SDKs) so that large enterprises and individual developers can freely build their ideas. Our second objective is to provide KNOX’s level of security and service to other non-Android OS platforms by expanding its compatibility. The true value of KNOX will grow even more prominent as the Internet of Things (IoT) era arrives. As we reach the moment when all things are connected through the Internet, the importance of strong security to prevent personal information leaks will inevitably increase. Because personal mobile devices will be a central collecting point for various IoT networks, security on those devices will grow even more vital. Similarly, protecting people’s data will become more important for wearable devices and connected cars. As wearable devices gain more functions each year, they are also collecting ever more sensitive information about us, directly from physical contact. The personal data being collected by connected cars is similarly sensitive since it directly affects people’s lives. With all these trends and needs in the market, we will continue to invest in Samsung KNOX so that it can protect you and provide security on a wide range of devices.